The Wedding Photography Experience We Deliver! 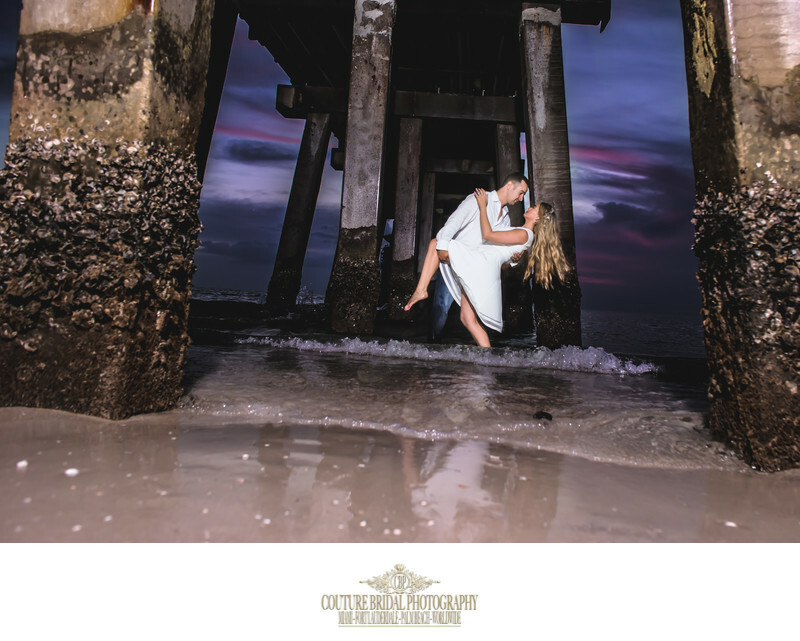 We are Fort Lauderdale based wedding photographers specializing in artistic documentary wedding photography throughout Miami, Palm Beach, Naples, Florida Keys and Destination Weddings Worldwide. Why Choose us as your Wedding Photographers? We're fun, friendly and best of all, we are really good wedding photographers! Not to brag, but we've been rated among the top three wedding photographers in Fort Lauderdale and Coral Springs, The top twenty in South Florida and most recently among the top five wedding photography studios in the State of Florida! Our unique style of wedding photography will never look dated and we'll tell a wedding day love story with every detail, emotion and fleeting moment that takes place on your wedding day. Most couples tell us they chose us for our beautiful wedding photos and our laid back and easy going demeanor when they contact us. Your wedding day is something you should be looking forward to , not something you dread. We will help you with more than just your wedding photography, we'll help you with your timelines and anything else within the world of weddings. 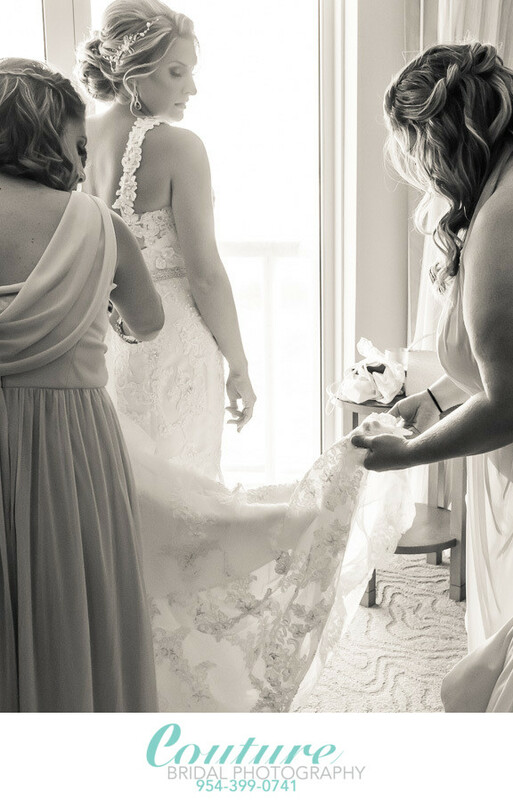 As a matter of fact, we have a full team of professional hair and makeup stylists who specialize in wedding day makeovers at CoutureBridal Beauty! More importantly you'll love your wedding photographs. The best part is your children, grand children and their children will love your wedding pictures. If you're wondering why, it's because you are both going to look amazing on your wedding day! As you probably noticed, there our website is mainly consists of engagement and wedding photo. Yeah, we do portrait, maternity and boudoir, but that love story is where its at! We specialize in wedding photography thats artistic and captures all the fleeting moments of your wedding day to look back on and tell you wedding day love story. We're specialists at story telling wedding photography with a fashion forward and elegant style. Wedding Photography is where our passion and hearts belong. Being trusted to tell wedding day love stories with spectacular images is the least we can do for letting us be a part of such and intimate and important chapter in your life. We capture and create your wedding day story by being skilled in all aspects, styles and genres of photography, yet wedding photography is the art form that fulfills our need to tell stories with beautiful wedding photos. 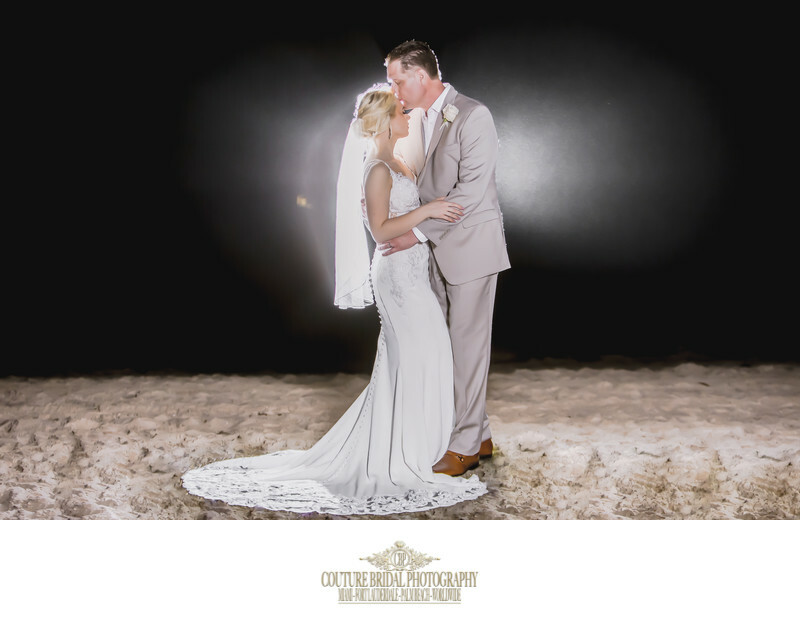 Unlike many other photographers throughout South Florida Photographers, we specialize in creating, capturing and delivering the best wedding photography in South Florida. The reality is Fort Lauderdale, Miami and Palm Beach is ground zero for some of Florida's best wedding photographers and we happen to be a part of that exclusive club of top wedding photographer and wedding photography studio in South Florida. We like to show off some of the wonderful things past brides and grooms had to say about our Couture Bridal Photography team and I. I strive to go above and beyond being just your hired wedding photographer, I will connect with you on a level that allows me to discreetly capture the most important moments of your life. If you'd like to see more reviews, click over to my review page or visit my Weddingwire.com or TheKnot.com profiles. I also have a Yelp profile! If you're wondering if I use a second wedding photographer, I would like to let you know that I always have my trusty and faithful 2nd shooter, Sandra Balzola on every wedding day. Sandra is a portrait and boudoir wedding photographer and owner of Red Sands Studio in NYC and Miami, but spends her weekends by my side helping me capture and create the most spectacular wedding images in Fort Lauderdale, Miami, Palm Beach and Florida Keys. Additionally, if you're wondering, I have photographed many weddings by myself and on occasion for really small weddings or elopements, I still do. Although, if you want me to perform at my very best, I need Sandra to provide a variety of tasks such as holding lighting equipment, fetching lenses, or helping set up rings, dresses and other important wedding day details to be photographed. Additionally, as a woman she knows how to make every bride look her absolute best at a moments notice. 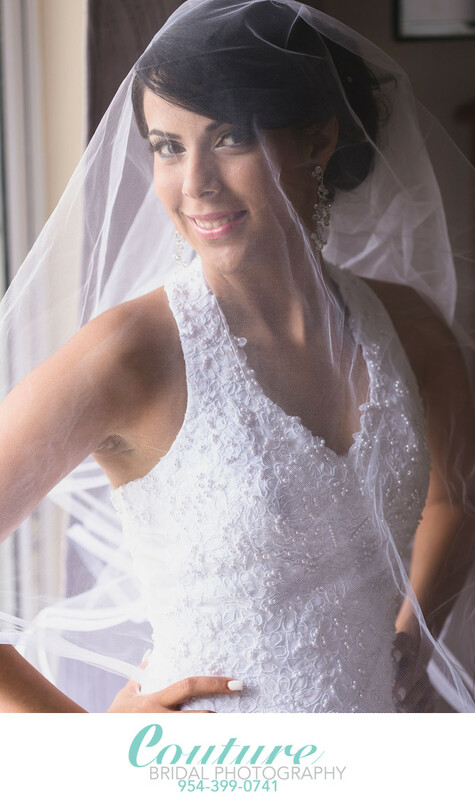 Moreover, if a bride decides she wants bridal boudoir photography session before getting in her dress, Sandra can set that up perfectly! The best part of having Sandra as my 2nd wedding photographer is during the wedding ceremony. During the wedding ceremony, we can each focus on the bride or groom and capture moments from a variety of angles to make sure we capture every fleeting moment. Another benefit of a 2nd photographer is I don't have to move as much, which allows your family and guest to focus on you with little distraction. Having a 2nd wedding photographer allows me to do my best wedding photography work, provides you with more coverage, and helps elevate your overall wedding photography experience. As Fort Lauderdale based south Florida wedding photographers, we're more than just a picture takers. We are artists, a visual biographers and narrators you've chosen and trusted to document the most important new chapter in your lives. Brides and grooms entrust us the responsibility of capturing their fleeting moments, delicate details and heartfelt emotions that take place throughout their wedding day. They ask us to tell a unique and personal story, all their own. As a discreet witnesses to your wedding, we will narrate your celebration of love with authentic, elegant, romantic & timeless wedding photos that tell you very own personal love story. Our wedding photography style is unobtrusive, authentic and bold. We strive to capture each and every fleeting moment authentically as it happens, yet ready to set the stage for moments to take place. As your photographers, We will document the connection between the people in your life and highlight the love that surrounds you. The result after creating, capturing, editing and curating your wedding day images, a heirloom collection of elegant, romantic and timeless photographic representation of your momentous wedding day. 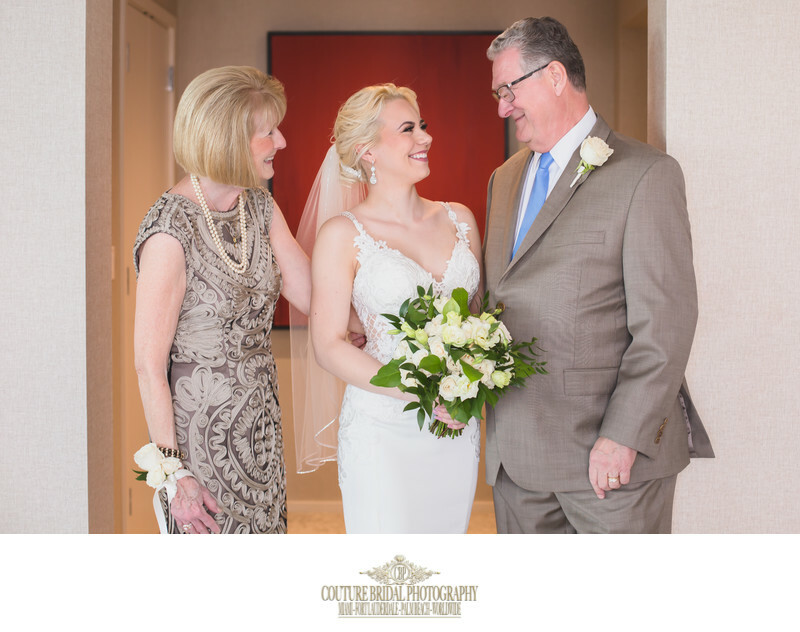 The first step in beginning your wedding photography experience with us is contacting us is to schedule a complimentary in-person consultation. We am also available for consultation via Skye or by phone. You can begin the process using my contact form or calling me at 954-399-0741. It's also ok, if you text me or email me. The majority of couples I work with live across the country and sometimes across the globe. In case you aren't local to Fort Lauderdale, Miami, Palm Beach or Florida Keys, we can arrange a Skype session to get to know one another and discuss the details of your wedding day whether here in Florida or anywhere worldwide. During your wedding photography consultation, we will discuss your wedding day plans and vision. We will discuss locations, times and some of your wedding day ideas. Most importantly, we'll become friends, share some laughs and tell stories. This is where we keep it fun, light and casual. This is a personal time where the human connection counts, not the sale of million dollar real estate. We can have a coffee, a beer, cocktail or tea while we explore and discuss all the possibilities of your spectacular wedding day. During our meeting we will discuss your venues, ideas, vision and timing along with addressing any questions you might have. We will discuss your engagement photography and reserve your dates. I believe in providing only the very best to my couples, this is why I take a dedicated hands-on approach to my wedding photography. I strive to give each couple the most personalized bespoke wedding photography experience from our first meeting to delivery of digital images, prints and custom hand made Italian albums by Graphistudio. I will work closely with your wedding coordinator and other vendors to help schedule your photography, so on wedding day no detail is missed and you can focus on the more important aspects of your wedding day. Looking for the right wedding photographers to capture your wedding day can be quite a stressful experience. After all, most people aren't very familiar with the in's and out's of professional photography or what to look for in a wedding photographer. You'll quickly find out that Google searches result in hundreds of wedding photography studios and photographers websites showing up, adding to this already difficult and important part of planning your wedding day. Please visit my pricing page for more information on engagement and wedding photography prices along with the details of what is included in my collections. Please note, When searching for wedding photographers throughout Fort Lauderdale, you will find my pricing is quite lower than most comparably skilled south Florida wedding photographers offering similar products and services. Soon after the last dance of your wedding day, I will create several backups of all your wedding images. Your wedding day images are priceless and I treat them as such to make sure each and every one is preserved in case of any all electronic mishaps. Once preserved, I begin the process of color correcting and editing each image by hand individually using a carefully calibrated high-end monitor. Over the course of several weeks, I pull the splendor and beauty of each image using my unique and distinct editing style. As I edit each image, I remove duplicates and images that may have imperfections that naturally occur during the course of your wedding day. Once your collection of wedding photos are completed, I export them into high resolution .jpg images ready for viewing, sharing and printing. When your high resolution wedding images are exported to an external hard drive specifically for temporary storage, I upload them to your personalize password protected wedding photo gallery, categorized by the portion of the wedding day they were taken. I then upload your wedding photos to a custom USB flash drive and mail this to you, as my gift and personal back up. Once you receive your personalized password protected photo gallery, you are free to view, share and relive your wedding day. The option to order professional prints, canvases, and metal prints will be available to you, as well as the ability to like images you may want to select for a custom hand made Italian wedding album. If you would like more information on long term photo storage, please visit my article on "how to save your wedding pictures forever" under the articles section of this website. In addition, I commonly provide wedding photography to couples throughout Miami, Miami Beach, The Florida Keys, Palm Beach and Naples Florida. Furthermore, I do provide destination wedding photography to couples throughout the United States, Caribbean, Europe, Mexico and South America. My specialty is Puerto Rico destination weddings because of my thorough knowledge of the island and it's most beautiful photo locations.